Rust-Oleum 276802 Silver Automotive Peel Coat Spray, 11 fl. oz. View More In Spray Paint. 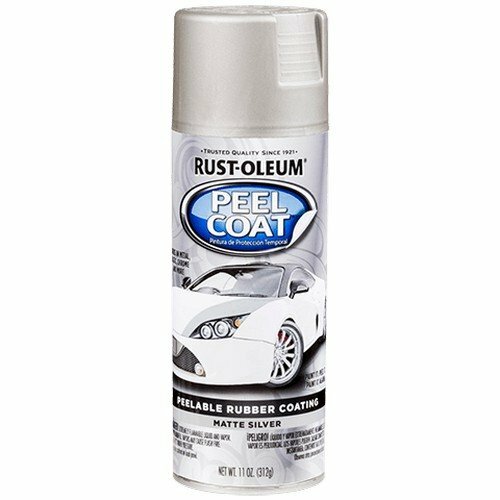 Rust-Oleum automotive peel coat is a temporary, peelable coating designed for customizing various vehicle parts such as wheels, rims and more. The smooth finish is easily washable and provides a temporary coating of up to 3 months. Dries to the touch in only 20 minutes and covers up to 8 sq. ft. If you have any questions about this product by Rust-Oleum, contact us by completing and submitting the form below. If you are looking for a specif part number, please include it with your message.